Can’t figure out what to get your sweetie this Valentine’s Day? Create a one-of-a-kind DIY! Follow these simple steps and create Chocolate Covered Strawberry Candy Hearts. After washing the strawberries, begin by pulling off the green stems. You won't be needing those. Using your knife, cut the top of the berry (not too much, just enough to take off the rest of the stem). Cut down the middle so each is the same size. This is a very important step, as it will allow you to shape the berries perfectly so they look like a heart. Take the berries and place them together so they form into a heart shape. Take a toothpick and stick it in the middle of both pieces of the berry. Inserting melted chocolate in the middle will assist in holding it together as well. Microwave the semi-sweet chocolate chips for 1-2 minutes. Once the chocolate is melted, dip the strawberries into the chocolate. 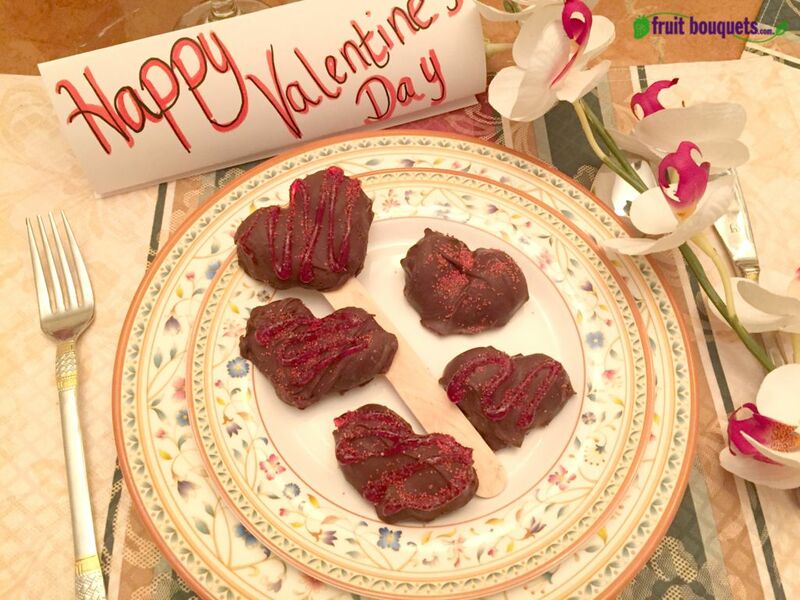 Place the chocolate covered strawberry hearts into the freezer for approximately 10 minutes. Use writing gel to create a design on the candy hearts. Add sprinkles to the candy hearts. Set up the desserts on your Valentine’s Day dinner table and think about how you will surprise him or her. Enjoy Valentine's Day! And we hope this Do It Yourself can help make it the most special one yet. Oh my Amazing! I wouldn't have ever guessed that these were made with strawberries!